In 1825 Captain Hugh Clapperton set out to explore the River Niger, a task that some twenty odd years previously had resulted in the death of the famous Mungo Park. The River Niger was seen as holding the key to unlocking access to the vast resources of this region and this was Clapperton’s second expedition to the area. He was accompanied by amongst others, Richard Lander, the author and compiler of this record who, by the age of twenty one, had already visited the West Indies and Africa and had many adventures. The other European members of the expedition succumbed early to disease and hardship leaving the loyal Lander to eventually tender to his master through his final days. Lander then made his way through Nigeria to the coast and hence to England to report back as the sole survivor. 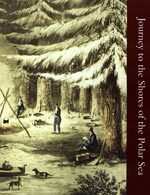 His tales of the three year journey are varied and extremely colourful and include descriptions of the traditions and ceremonies of the nations and tribes they encountered. Landers very survival was a testament to his fortitude, such that, upon his return, the Government approached him to undertake a second journey which he undertook with his younger brother and which proved more successful leading to him becoming the first ever recipient of the Royal Geographical Society Gold Medal.